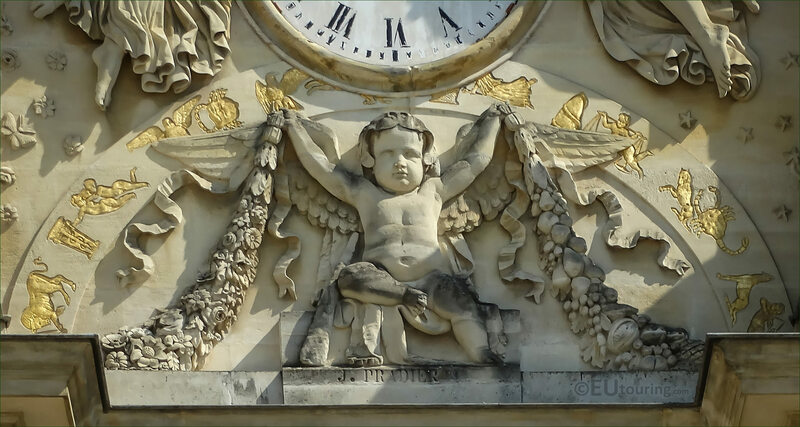 This time we were within the Jardin du Luxembourg admiring the facade of the Palais du Luxembourg, which is located in the 6th Arrondissement of Paris, and we took these high definition photos showing the ornate features surrounding the clock. 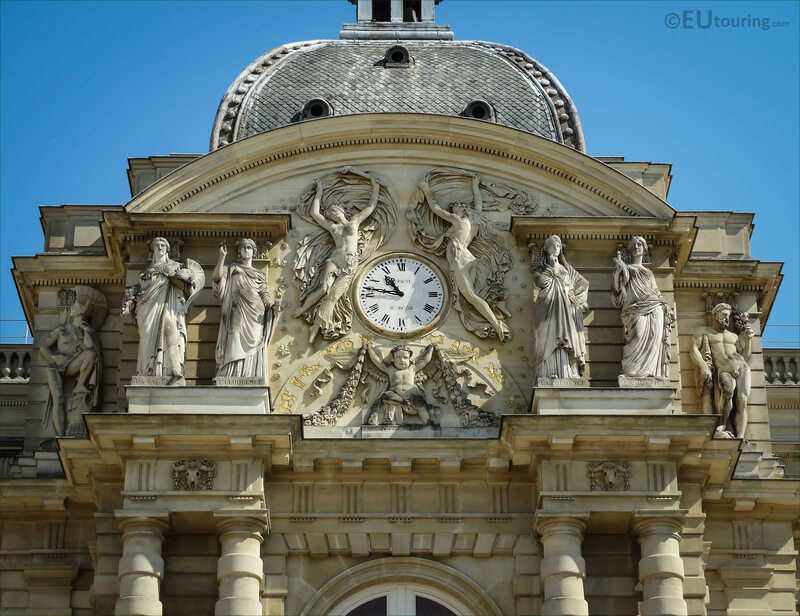 So this first HD photo shows the three bas reliefs that surround the large clock on the facade of the Luxembourg Palace, which were sculpted between 1840 and 1841 by Jean Jacques Pradier, who is normally known as James Pradier. And the Swiss born French sculptor had a prolific career producing numerous different statues and decorative works for public buildings including churches and many other famous tourist attractions in Paris such as the statues surrounding The Tomb of Napoleon in Les Invalides. 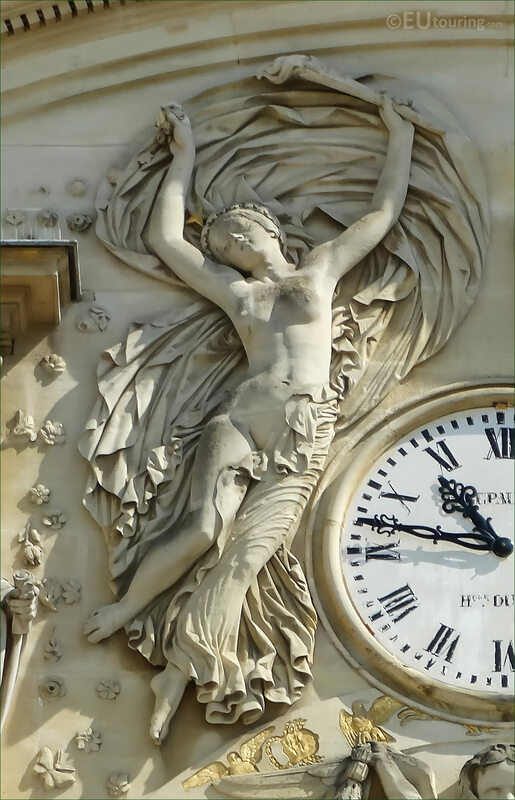 Now this image shows the left hand side bas relief, which is an allegory sculpture called Le Jour, and in English this translates to The Day, and so, the female figure is facing outwards. 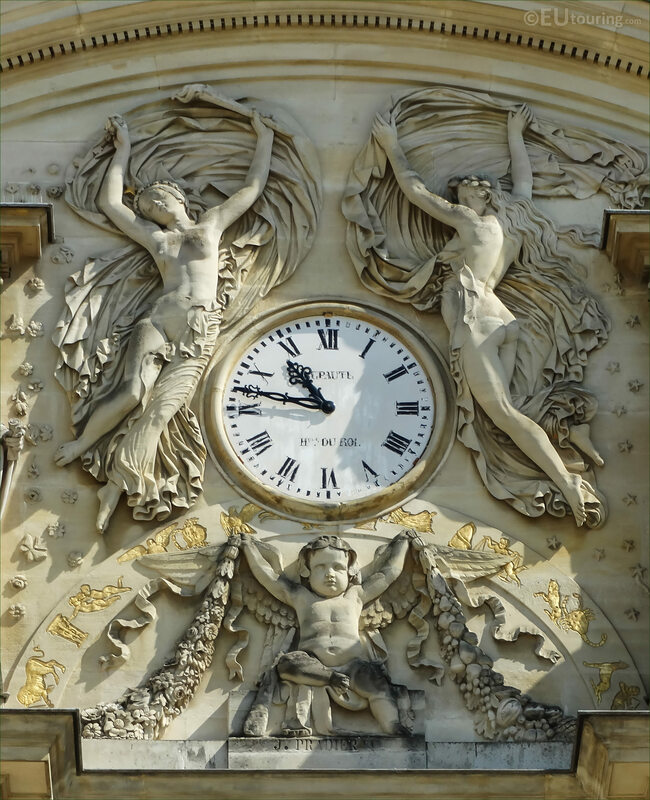 However, as you can see in this image, the female figure to the right hand side of the clock is facing inwards, and this allegory bas relief is called La Nuit, which in English translates to The Night. 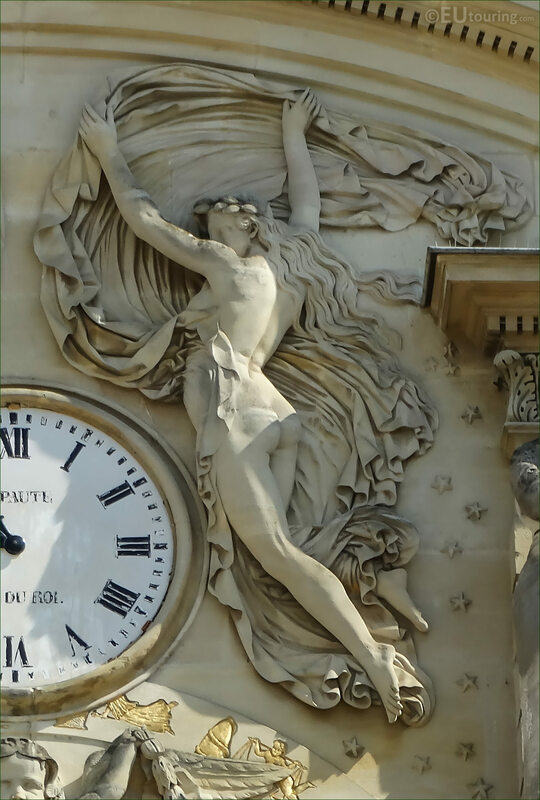 And in this close up you can see the bas relief sculpture located directly underneath the clock on the Palais du Luxembourg, and called Un Genie, you can see that the Genie is holding garlands, yet is also surrounded by the gilded signs of the Zodiac, which again was sculpted by James Pradier, as you can tell from the inscription directly underneath. Now this last high definition photo shows the whole top pediment on the middle section of the Palais du Luxembourg with its clock on the south facade looking up from the formal garden area where you will see the grand basin, and as you can tell these impressive bas reliefs are also surrounded by additional statues, which were all commissioned by King Louis Philippe I during the years known as the July Monarchy.